In this Sept. 21, 2016, file photo, Iran's Revolutionary Guard troops march in a military parade marking the 36th anniversary of Iraq's 1980 invasion of Iran, in front of the shrine of late revolutionary founder Ayatollah Khomeini, just outside Tehran, Iran. 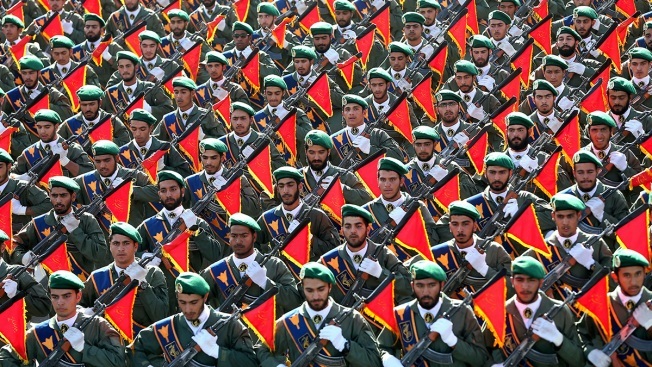 The Trump administration is preparing to designate Iran’s Revolutionary Guards Corps a “foreign terrorist organization” in an unprecedented move that could have widespread implications for U.S. personnel and policy. U.S. Officials say an announcement could come as early as Monday, April 8, 2019, following a months-long escalation in the administration’s rhetoric against Iran. The move would be the first such designation by any U.S. administration of an entire foreign government entity. The United States on Monday designated Iran's Revolutionary Guard a "foreign terrorist organization" in a move to increase pressure on the country that could also have significant military, diplomatic and economic implications throughout the Middle East and beyond. It is the first time that the U.S. has designated a part of another government as a terrorist organization. The designation sparked retaliation from Iran, whose Supreme National Security Council designated the United States Central Command and all its forces as terrorist, and could potentially open hundreds of foreign companies and business executives to U.S. travel bans and possible prosecution. 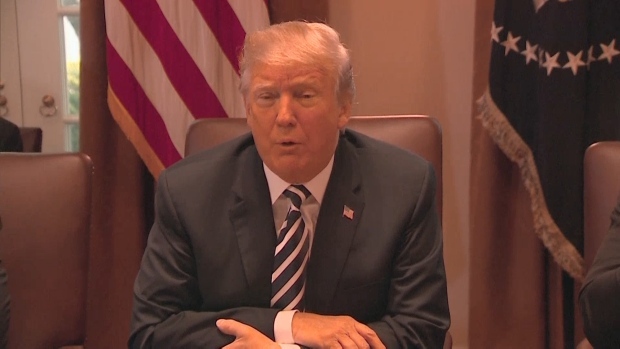 "This unprecedented step, led by the Department of State, recognizes the reality that Iran is not only a state sponsor of terrorism, but that the IRGC actively participates in, finances and promotes terrorism as a tool of statecraft," President Donald Trump said. Secretary of State Mike Pompeo said the move is part of an effort to put "maximum pressure" on Iran to end its support for terrorist plots and militant activity that destabilizes the Middle East. The designation blocks any assets that IRGC entities may have in U.S. jurisdictions and bars Americans from any transactions with it. When it takes effect next week, it will allow the U.S. to deny entry to people found to have provided the Guard with "material support" or prosecute them for sanctions violations. Those could include European and Asian companies and businesspeople who deal with the Guard's many affiliates. Pompeo said the action should serve as a warning to corporate lawyers to ensure any business their companies do in Iran is not with any entity affiliated with the Guard. The State Department currently designates more than 60 organizations, including as al-Qaida and the Islamic State, Hezbollah and numerous militant Palestinian factions, as "foreign terrorist organizations." But none of them is a state-run military. Iran had threatened to retaliate for the decision, and shortly after it was announced foreign Minister Mohammad Javad Zarif called on President Hassan Rouhani to include Mideast-based U.S. forces on Iran's own terrorist list, the official IRNA news agency reported. Zarif also sent a protest note over the U.S. designation to the Swiss Embassy in Tehran, which looks after the U.S. interests in Iran. When the Supreme National Security Council's moved to designate the U.S. Central Command, also known as CENTCOM, as terrorist, it also labeled the U.S. as a "supporter of terrorism," according to the semi-official Fars news agency. In addition to potential retaliation, the designation may also complicate U.S. diplomacy in the Middle East. No waivers or exceptions to the sanctions were announced, meaning U.S. troops and diplomats could be barred from contact with Iraqi or Lebanese authorities who interact with Guard officials or surrogates. The Pentagon and U.S. intelligence agencies had raised concerns about the impact of the designation if the move did not allow contact with foreign officials who may have met with or communicated with Guard personnel. Those concerns have in part dissuaded previous administrations from taking the step, which has been considered for more than a decade. "Doing this will not impede our diplomacy," Hook said.